Two years ago, CBD changed my life personally and professionally. Personally, it helped my long-time-middle-of-the-night-insomniac husband sleep well again. It also allowed me to get back to sleep easier, something I had not done well since my son was born almost 10 years ago. Over time, I also found it improved my ability to react less to stressful situations, something I call stress resilience. Professionally, it changed my ability to help my patients improve sleep, decrease anxiety, and manage pain and inflammation, among other things. Now remember, I’ve been a naturopathic doctor for almost 20 years, so its not like I don’t have lots of other tricks up my sleeve. What you need to understand, is that in most cases, CBD works faster and better than the other tools in my toolbox. It has been a game changer. Of course, the fact that I now spend a significant amount of my professional time educating doctors, retailers, and inquiring minds like you about CBD has been another big change for me. Two years ago, I wouldn’t have believed it, but here I am! If you’re considering trying CBD yourself, you probably have LOTS of questions. Please proceed with caution. Once you get online, go to your favorite dispensary, or ask your brother-in-law for advice, chances are you will get vastly different answers, many of which are rooted in bad or overstated science. Don’t despair! As stated above, CBD is one of over 100 phytocannabinoids isolated from the cannabis plant. THC (delta 9 tetrahydrocannabinol) is also a phytocannabinoid, and is most known for the feelings of euphoria it produces. It also has known medical benefits for nausea, pain, and appetite stimulation. CBD is most known for its LACK of euphoric effects and has been the subject of a groundswell of compelling clinical and empirical research on pediatric epilepsy, anxiety and PTSD, neuroprotective benefits, pain and inflammation, and much more. The potential here is huge. The cannabis plant, cannabis sativa, has several subspecies which have all been traditionally used to yield high THC products. More recently, with more positive data emerging about CBD and other cannabinoids, growers have also focused on high CBD plants with varying amounts of THC. One subspecies of cannabis sativa, cannabis sativa L, is also the source of agricultural hemp. By definition, hemp must have less than 0.3% THC at the time of harvest, so if you’re using a hemp-derived CBD product you know the THC will be too low for any psychoactive effects. elements together, and we have a newly discovered physiologic system called the ECS (not to mention the rationale behind our 8000+ year love affair with cannabis). The ECS helps us respond to stress by modulating endocrine function, regulating fight or flight, and mounting inflammation/immune response. It is involved in the direct regulation of appetite, metabolic health, pain/inflammation, thermoregulation, intra-ocular pressure, sensation, muscle control, motivation/reward, mood, and memory. 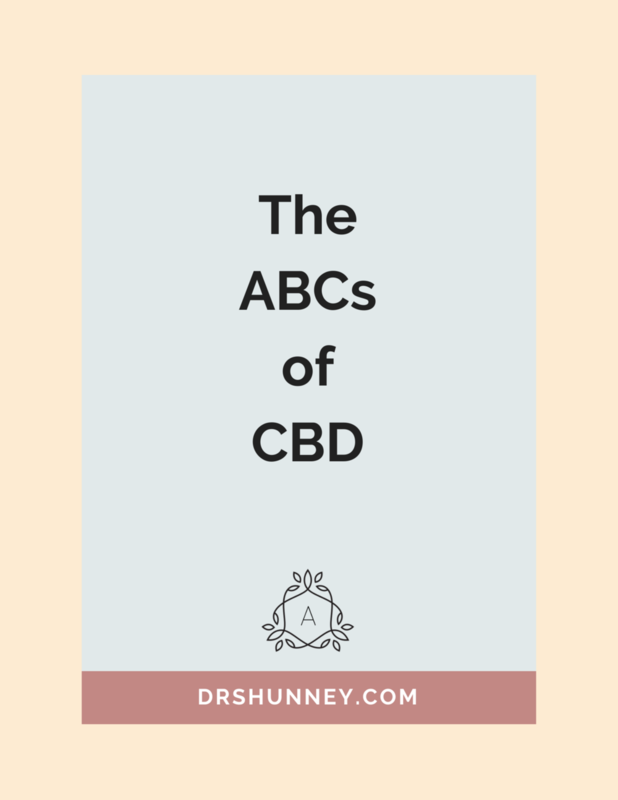 As it turns out, CBD has an affinity for balancing and supporting the ECS by virtue of its actions on CB1 and CB2 receptors, and various other receptors that modulate serotonin, GABA, dopamine, and other inflammatory chemicals. This is why CBD has so many potential applications. You can get CBD from medical or recreational cannabis dispensaries if you live in state that allows that or you can get it from hemp products, which are federally legal. CBD from hemp is available in over 1500 independent health food stores nationwide and also online. Even in California where we have legal medical and recreational cannabis, I choose CBD from hemp for several reasons. I like knowing that there is not enough THC in the products to cause psychoactive effects. fertilizers used (if any), and engage in third party batch testing to ensure content and quality (pesticide/solvent residue, heavy metals, molds, etc.). This type of info is not always easy to come by at your local dispensary. Hemp is full of all kinds of beneficial constituents like terpenes, flavonoids, essential fats, plant sterols, vitamin E, and chlorophyll. Hemp products use every part of the plant that grows above ground, so they have a much broader array of phytonutrients than cannabis products which come from the flower only (where THC is richest). Hemp is great for the environment! It repletes the soil it’s grown in and sequesters CO2. Compared to indoor cannabis grow operations, it requires no electricity (vs grow lights and climate control systems) and it requires 80% less water. CBD is extremely safe and well tolerated – and safety is essential with this ingredient because there is no magic dose. What it takes to balance your ECS may be different than what it takes to balance my ECS. And what it takes to balance my ECS may be different at different times. This jives with my clinical experience of patients needing less over time as they create more balance and more resilience. As a general rule, start low and go slow – especially if you have anxiety. You may be surprised at how little you need.